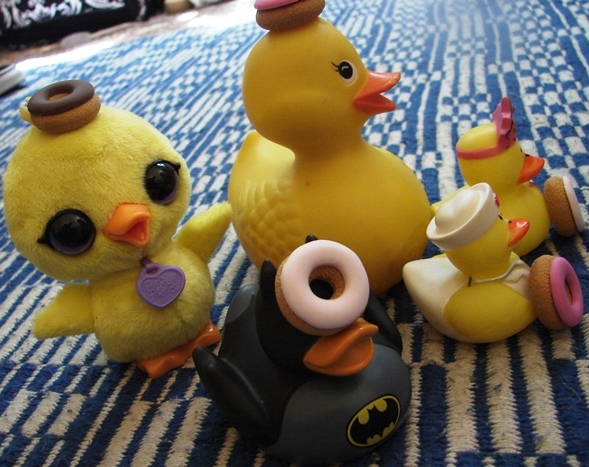 My Intern Darla wanted me to take a picture of some of her ducks to share on the blog. 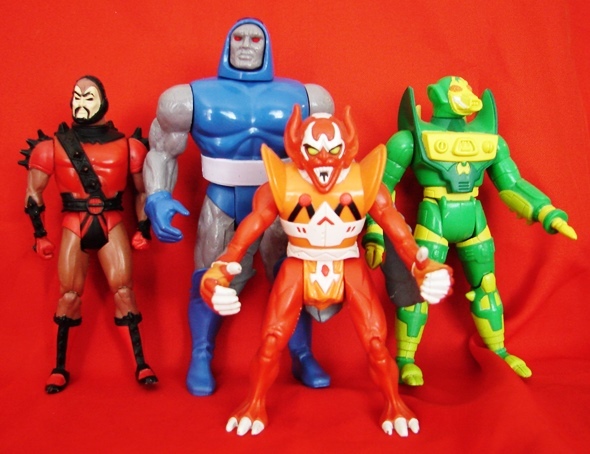 Which of course lead to a few other toys joining in on the photo opportunity. And also lead to a picture of ducks with donuts. I'm not sure what her artistic message is, but I'm sure it's deep. 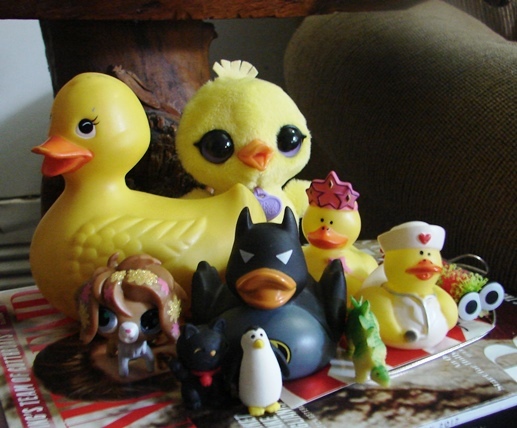 My little one has a collection of ducks, too! 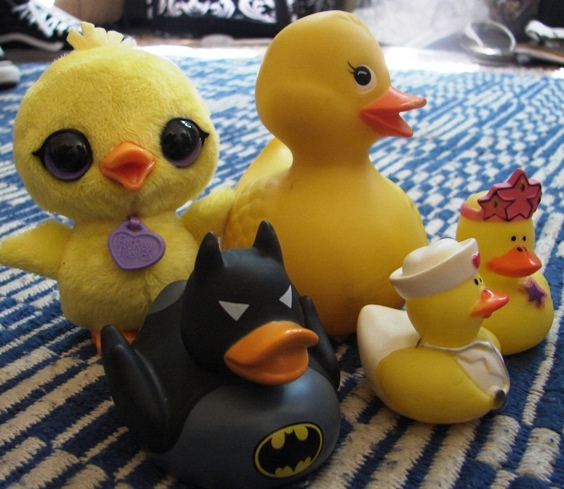 We have the blue cowled version of the Batman duck (it lights up), a green duck with stars named Seashell, and a small yellow duck named Hulk. Cool! You should post pics too! This Batduck also lights up, but I never saw him in blue/grey.